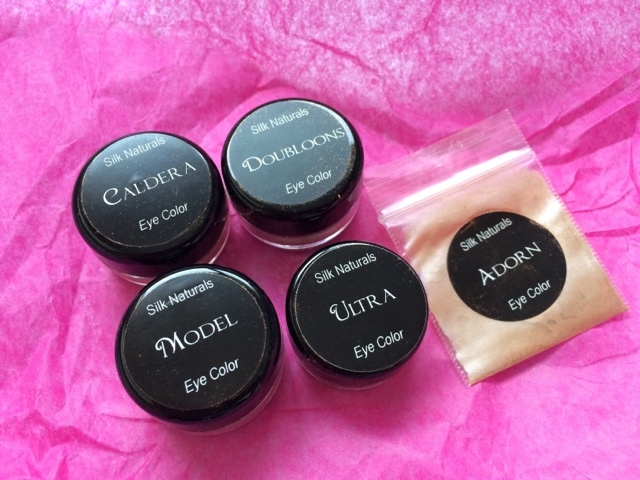 The Vegan Mouse: More makeup from Silk Naturals! Sorry guys not many food posts these days. Food truck burritos have been my main meals as well as pb and j. But soon I plan to cook more on the weekends. I have more vegan cosmetics to show you. I hope you don't mind if I post about non food subjects. I like to have an online record of my purchases. Brija haul coming soon! Silk Naturals. 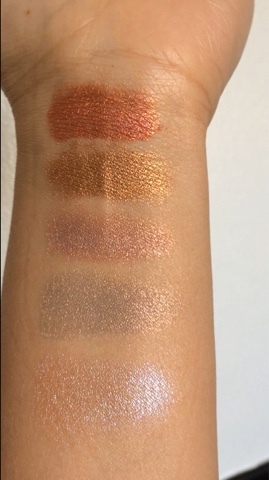 I love their variety of shades and the price is right. They are having a spring sale now which is why I got these. I've been wanting Caldera and Doubloons for some time. Some different shots to try and show the brilliant duochrome. 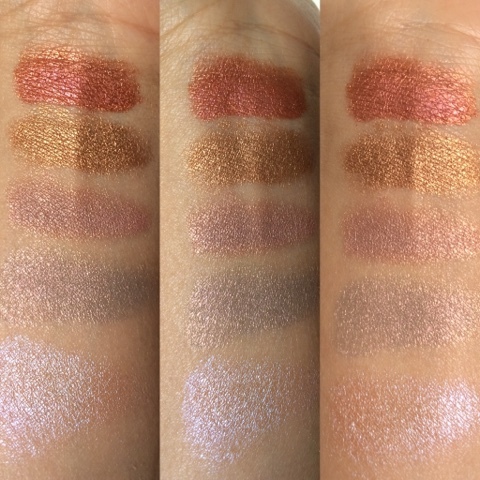 Top to bottom: Caldera (coppery orange red prism) Ultra (warm bronzy gold) Model (tan with pink duochrome) Doubloons (light golden copper) and Adorn (light tan with blue violet duochrome). I love the 4th one down, Doubloons! 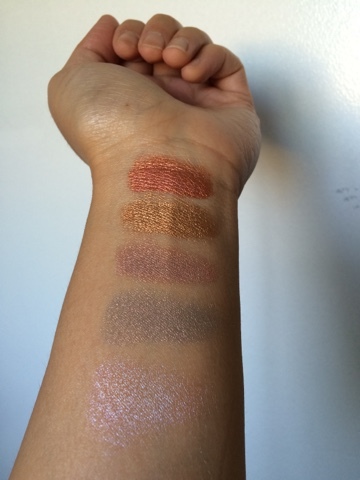 It's a light golden copper with copper, gold and red duochrome. These are all swatched over Elf Glitter Glue. So pretty! We like all your posts and you're a new mom - how do you find time for anything? I need 2 try this brand!! Great Review Hon! !